So last week Andrew was away with work, leaving me foodless and generally neglected. Topped with a great lack of cooking ability, as I'm sure you can imagine, it's been tough. 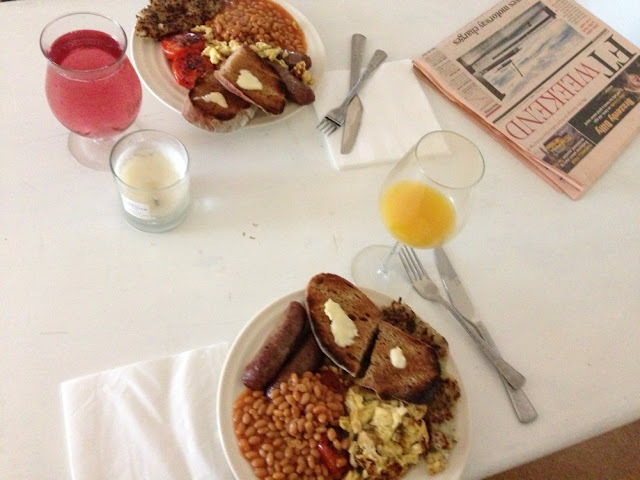 We cooked up a huge organic breakfast, topped with grass and wildflower fed mutton and homemade skinny hash browns.